As a charity Barnet Youth Zone relies on a wide variety of support and donations. If you share our belief that all young people should have something to do, somewhere to go and someone to talk to, then fundraise with us to raise aspirations, and support the next generation to realise their potential. We are extremely grateful to everyone who supports us to make our work possible, and all of you who share our passion. You can also kindly donate on our Charity Fundraising page here. Support Unitas Youth Zone and demonstrate genuine commitment to the issues affecting your staff and communities. Here at Unitas Youth Zone, partnership work is key to success. Our work with young people wouldn’t be possible without the extraordinary generosity of our corporate partners. 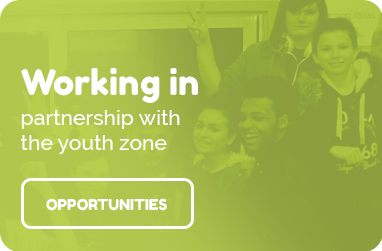 If you want to get involved, email Richard Woods on: richard.woods@onsideyouthzones.org.